This is a solution in PDF file format, written in German. When the "BEFEHL" appears, type in "GEH", the next question is "WOHIN? ", which means "To where? ", so type in "BAUM". 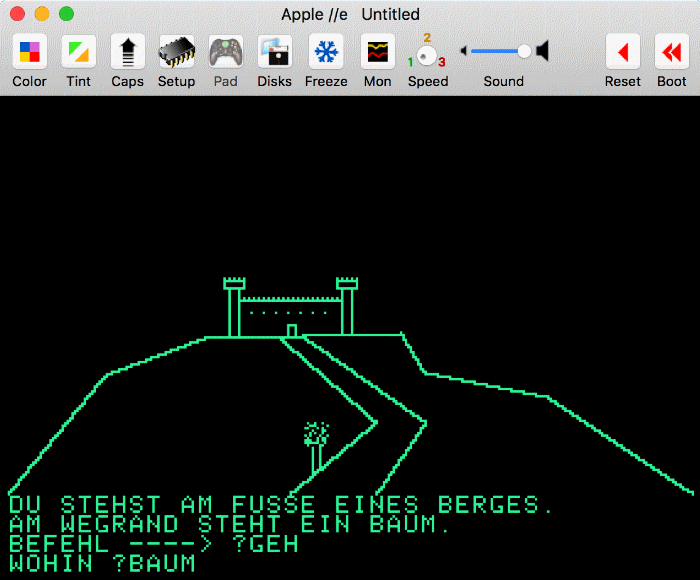 In the Apple ][ version, type in your commands in uppercase letters.